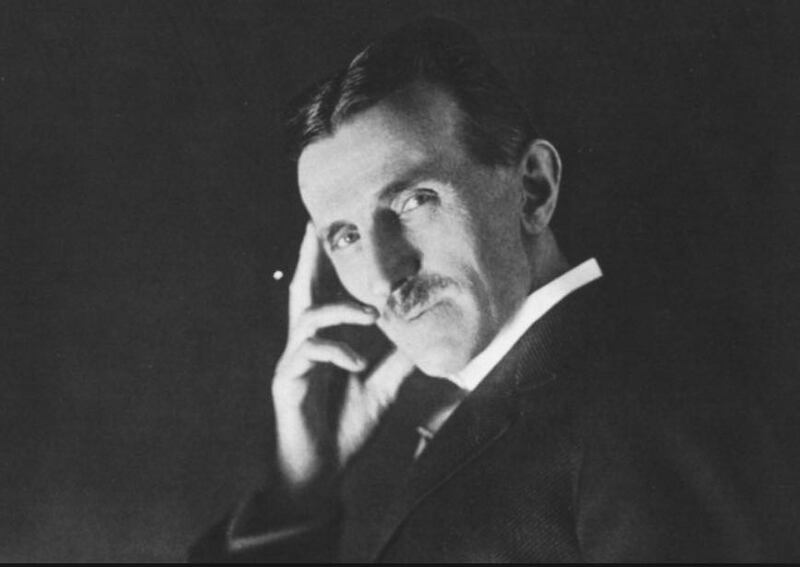 If Nikola Tesla were alive today, he would be an ardent fan of subquantum kinetics. Here are some statements he had made over 80 years ago in which anticipated many aspects of subquantum kinetics. “Long ago he recognized that all perceptible matter comes from a primary substance, of a tenuity beyond conception and filling all space — the Akasa or luminiferous ether — which is acted upon by the life-giving Prana or creative force, calling into existence, in never ending cycles, all things and phenomena. His view here was shared by theosophists Annie Besant and Charles Leadbeater. The idea of the life-giving Prana or creative force signifies the etheric reaction affinity that animates the ether, causing etherons to react with one another and transmute. This is equivalent to the idea in subquantum kinetics of the underlying etheric flux sustaining all things. His description of the primary substance (ether) being trown into infinitesimal whirls to form matter describes the idea of particle spin, which in subquantum kinetics is envisioned as an ether vortex at the particle’s center which is driven by the etheric flux that flows between the subatomic particle’s core and the Turing wave shell that immediately surrounds it. Currently, the Model G Vortical Motion Group is working to modify the Model G equation system to be able to represent spin. Just as Tesla described, if the transmutating etheric flux in subquantum kinetics were to subside, the ether would become subcritical and all matter would dematerialize. Just a featureless ether would remain; i.e., a vacuum. This is exactly the view of subquantum kinetics. Just as Tesla says, the Sun, the stars, and even planets are slowly growing in mass and luminosity through the process of continuous matter creation with genic energy making an important contribution. As a result, stars will not burn out. They will either explode in supernovae, as Tesla says, or grow into very massive mother stars which cyclically explode producing the so called galactic core explosions. It would be very interesting to find out what instruments Tesla had perfected to demonstrate this important prediction. Relativistic like effects like clock retardation and mass dilation emerge as corollaries of subquantum kinetics Model G without recourse to relativity. Again, Tesla concords with subquantum kinetics in which gravitational masses attract one another without recourse to spatial curvature. Tesla’s sound wave analogy for the transmission of waves through the ether, of alternate regions of ether compression and ether expansion is similar to that of subquantum kinetics which explains light wave transmission as a reaction-diffusion wave in which the etheron concentrations rise and fall as the wave passes, much like air pressure rising and falling for the passing of a sound wave. Over all, considering all these aspects, Tesla would have readily embraced the subquantum kinetics paradigm had he been alive today.